Gegard Mousasi vs. Rory MacDonald may be set. ESPN‘s Ariel Helwani was able to confirm the bout through multiple sources. The bout is reportedly set to take place in San Jose, California on Sept. 29. If that’s the case, then it’ll be contested in the middleweight division and Mousasi’s title will be on the line. In addition, Helwani is also reporting that Quinton Jackson vs. Wanderlei Silva 4 will be on the card. Bellator president Scott Coker was initially hesitant on booking Mousasi vs. MacDonald so soon. 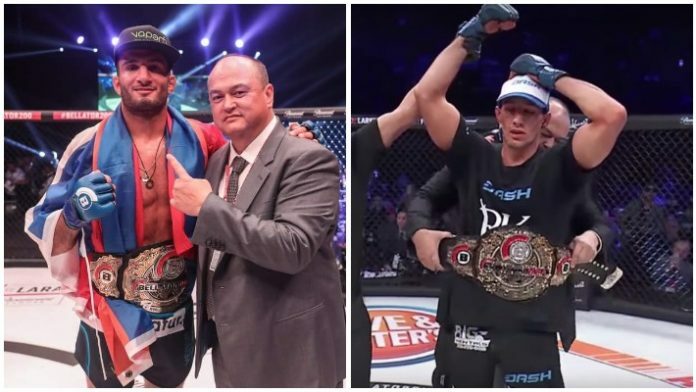 Both men had just captured Bellator gold, so they haven’t even had a title defense yet. Coker changed his mind and said that once he landed back in the United States, the bout would be his top priority. Bellator has now struck while the iron is hot. Or have they? MMA News’ Damon Martin reached out to sources who said there is no fight yet. If Gegard Mousasi vs. Rory MacDonald becomes official, who do you think wins?